During an interview on CNBC on Friday, SpaceX CEO Elon Musk announced that the aerospace company is aiming for a mid-December return to flight after it finally figured out why its Falcon 9 rocket exploded on the pad on September 1. The culprit: oxygen so chill it’s frozen solid. On September 1, a Falcon 9 rocket (and attached AMOS-6 satellite) was sitting on the launch pad at Cape Canaveral Air Force Station prior to a pre-launch static fire test — where the rocket is strapped down and the engines are briefly fired to ensure they are working as expected. However, before engineers could conduct the routine test, the rocket exploded. It didn’t take long for SpaceX to narrow down the issue to the rocket’s second stage liquid oxygen system. Since then, there’s been a lot of speculation as to what exactly caused the Falcon to explode, including talks of alien interference and potential sabotage — Musk even labeled it as the most complicated failure the company has ever tried to solve. That’s not supposed to happen, so what went wrong? Since SpaceX uses super-chilled liquid oxygen to help power its rocket, a set of three helium pressure vessels are set up inside the upper stage’s liquid oxygen tank to keep the upper stage pressurized after the propellant has been used up. The pressure vessels are covered in a carbon fiber composite material and sit submerged in the liquid oxygen propellant until it leaves the tank. If the liquid oxygen solidified, it could have ignited with the carbon, destroying the rocket and the payload in the process. SpaceX hasn’t released too many details about their fueling process, and it’s not entirely clear how the liquid oxygen solidified, but one explanation could be due to liquid helium inside the pressure vessels. If the helium inside the vessels, was liquid, it would exist at temperatures around -452 degrees Fahrenheit. SpaceX wants to chill the liquid oxygen fuel to -340 degrees Fahrenheit, but the cryogenic helium could lower the temperature enough to cause the oxygen to solidify. This isn’t the first issue with the helium pressure vehicles to come up. In June 2015, a Falcon 9 rocket bound for the International Space Station disintegrated during flight as a faulty strut responsible for holding the vessels in place, broke during stress the vehicle experiences during launch. It was a manufacturing defect, and the company has since implemented a more rigorous testing process to ensure all parts of the vehicle can handle launch conditions. 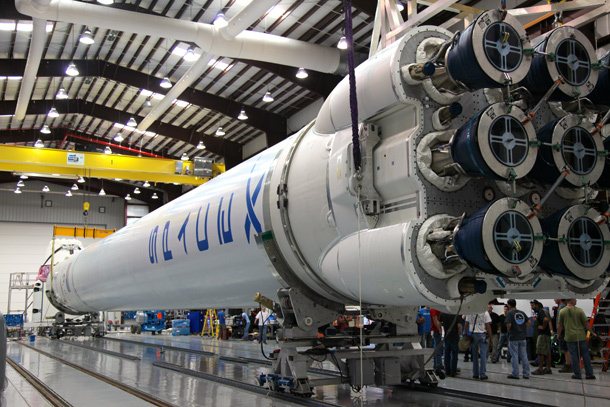 The super-chilled oxygen is a new feature on the recently upgraded Falcon 9 rocket. As SpaceX continues their investigation and prepares to return to flight — which Musk expects to happen in mid-December — SpaceX will review their fueling processes to ensure this type of anomaly doesn’t happen again in the future.